We specialise in the periodic inspecting & testing of electrical installations of the commercial, retail & industrial industries. We provide a comprehensive, independent and unbiased report on the condition of your installation. All testing is carried out in accordance with the IEE wiring regulations BS7671. Our engineers are dedicated test engineers who are trained to carry out all aspects of the testing & inspection as listed below. 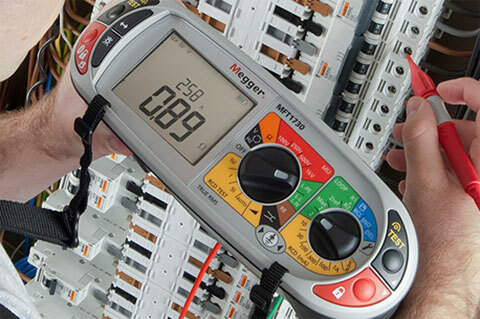 Periodic Inspection & Test Of Fixed Electrical Installations. We use the latest software systems to provide you with an accurate, high quality, full colour and readable report which will be sent out in hard copy format, e-mailed as a PDF, or uploaded on our dedicated website with the client log in facility to view all there certification & reports of their premises. DSP Electrical is unique, in that we offer our customers a remedial solution to repair any defects found during the test and inspection process. Our electrical installations division will prepare a no obligation quotation to repair any deviations from BS7671 and provide the required certification in each case. For More Information On Our Dedicated Compliance Web Data Base System. We manage our strong dedicated team from our own purpose-built headquarters in Birstall nr-Leeds, within our fully equipped office’s and warehouse facility. We work with companies of all sizes, see what they say about us and the service we provide. DSP Electrical have worked for WHSmith for the last 20yrs and always display the highest level of service when doing projects large and small for WHSmith with complete customer care satisfaction to the highest level.